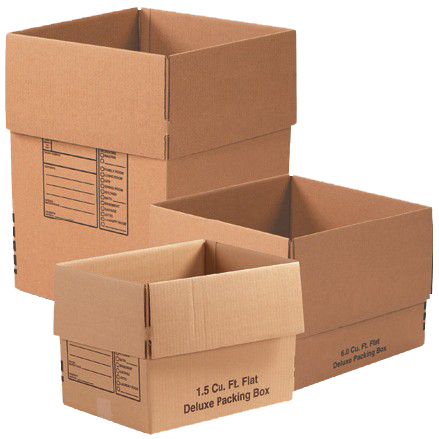 Our clients can avail from us a broad assortment of Packing Corrugated Boxes. These boxes are made using superior grade card boards and fragile sheet of paper. Our boxes are available in a wide array of types like plain corrugated boxes, ruffia laminated boxes, corrugated storage boxes, and multi color inner or outer corrugated box. Depending upon the application area, we also provide these boxes in varied thicknesses.